Dainty and Minimalist hexagon earrings in 14k gold. 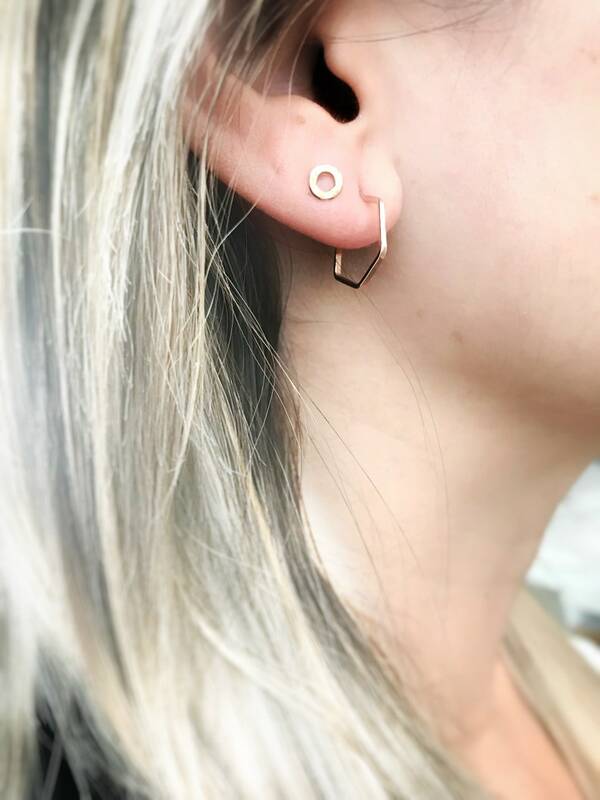 The hexagon earrings as an alternative to the traditional hoop. Like gold, silver symbolizes wealth and prosperity. It increases the power of most stones, while activating them to their greatest potential. It is the metal of emotions, the psychic mind, and of loving and healing.